and one which has been in existence for well over 70 years. 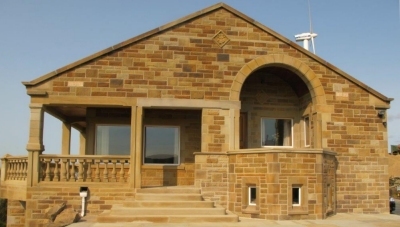 For all your York Stone Paving and Natural Stone Paving needs, Gillsons have extensive experience of providing for a range of complicated masoned material, quoins, sawn pavings, window surrounds, door surrounds, sand and gravel. Dennis Gillson & Son (Haworth), as the name suggests, is a family concern and one which has been in existence for well over 70 years. 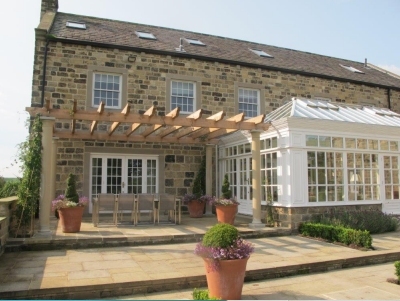 Dennis and Lily Gillson, a man and wife with a passion for the outdoor life and a fearless affection for hard work, have carved a business from the natural landscape of their home village of Haworth. Since the early days the family and the number of employees has grown as fast as the business itself. 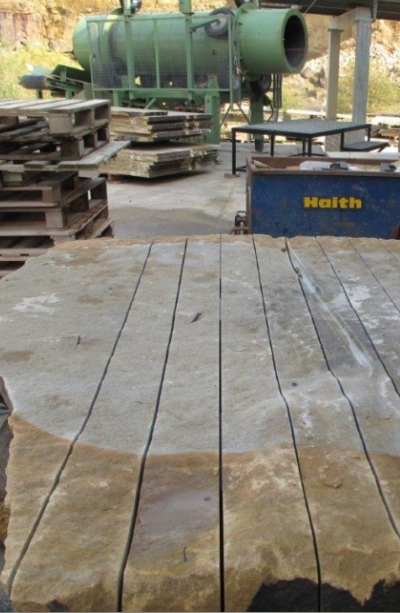 With a combined experience of nearly 256 years between them you would be right to expect nothing less than the very best in 'York Stone'. 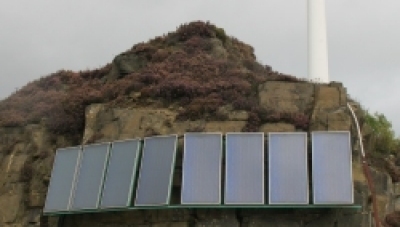 As part of a dedicated commitment to the environment, here at Dennis Gillson & Son we generate some of our electrical power from Solar Panels and a modern Wind Power Turbine, which provides the stone quarry and the surrounding locale with green renewable energy. 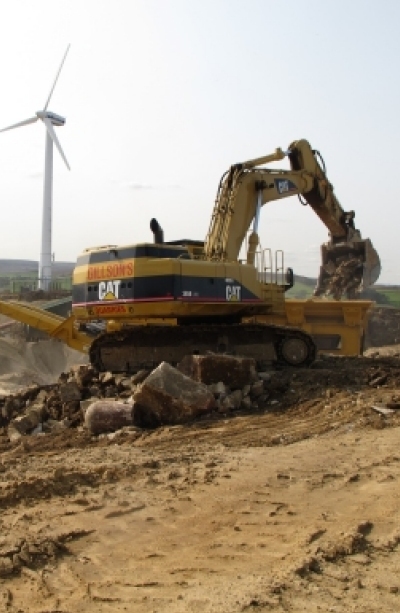 We believe that it is good to be able to give something back to the environment, after all it is the natural landscape that provides us with our top quality stone. 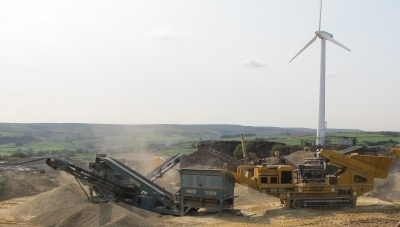 The wind turbine will provide renewable, environmentally friendly energy to Dennis Gillson & Son Quarry for many years to come..
Our Stone products are taylor-made to your requirements and adding value and prestige to your development, York Stone paving need not be expensive. 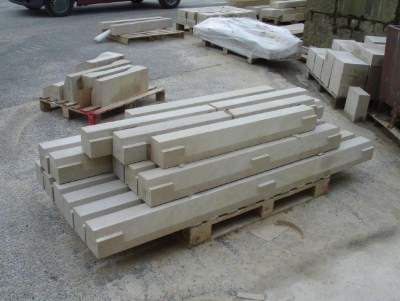 We can provide to specification a range of complete stone products, for use as Sawn Heads and Cills, Jambs, steps and copings etc. 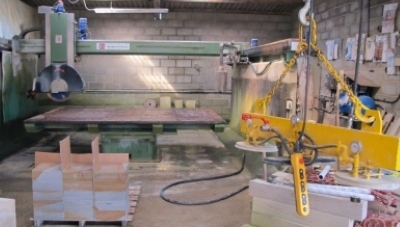 Gillsons also have extensive experience of providing for a range of complicated masoned material, quoins and sawn pavings. 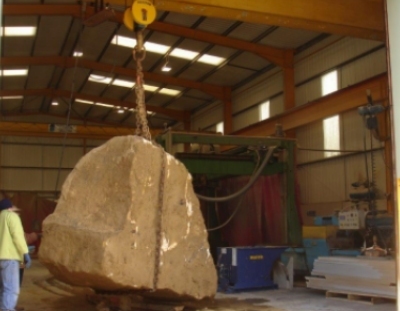 Monumental stone is available in many guises, on request.We also supply Sand Stone and Grit Sone. 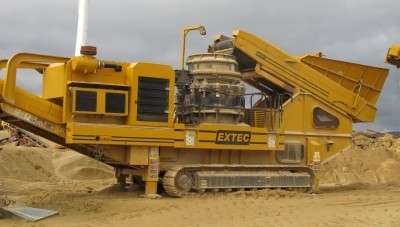 If you have any complicated feature why not visit us at our quarry, where we will be more than happy to give you the benefit of our experience and also offerFREE advice without any obligation on your part. Types of cut and texture. 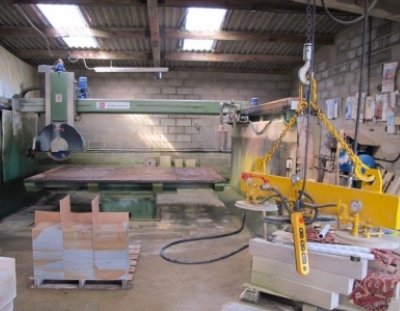 300mm - 600mm wide x Random Length or Fixed Lengths. The Gillsons are all too aware of tight budgets and short deadlines.